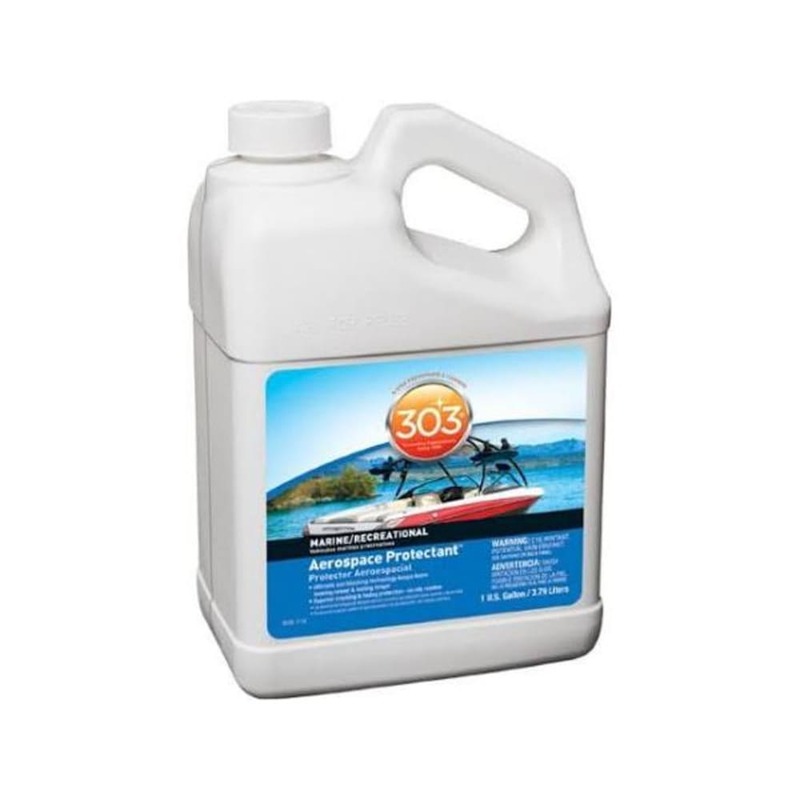 Superior UV protection keeps items looking newer & lasting longer when using 303 Protectant. Ultimate fade protection keeps surfaces bright by restoring color & luster. Enduring repellent finish that stays cleaner longer and cleans up easier. No oily or greasy residue. Great for colored gel-coat fiberglass, inflatable boats, vinyl, clear vinyl windows, rubber, plastics & leather. Spray on and wipe dry. Non-toxic & environmentally safe.